Living in an RV with kids can be a delicate balance sometimes. We all want our kids to have things to do and play with, but collecting tons of toys simply isn’t an option in the tiny space an RV offers. For this reason, we have to be super picky about what kinds of toys make it into our tiny homes on wheels and begin RV living with kids. 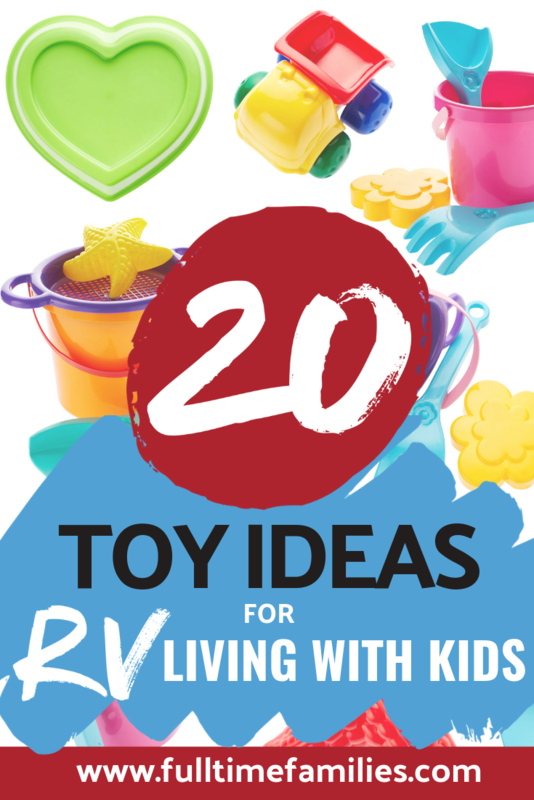 If you’re wondering which kinds of toys you should hold onto when moving into an RV or if you’re looking for good gift ideas for your traveling kids this is the article for you. Here we will discuss the very best kinds of toys to keep on hand in an RV as well as where to store these items so they are close at hand whenever boredom sets in. Let’s start by talking about the best toys for RVers. This list has been curated by real life full-time RV families who have figured out what works and what doesn’t. Of course, your list of toys may vary a bit, but this is definitely a good starting place. Building toys are quite possibly the most versatile, educational, and entertaining toys out there. For these reasons, they are also some of the most popular toys for RVers. We particularly love MagnaTiles and LEGO bricks, but depending on the ages of your children, you might find other building toys to be more suitable. Small action figures are great for imaginative play. Some of our favorite little figures are made by Playmobil amazon. There are all kinds of Playmobil sets out there, and kids love them for many years, meaning you’ll get plenty of use out of them. Besides, the tiny pieces make these sets easy to store away. Because RVs are so tight on space, toys that can be used in numerous ways are fabulous. A good example of this are play silks. A play silk can become a stream of water on the ground, a cape, or a beautiful skirt. Those with young children who enjoy dress up will definitely want to consider some play silks. If you have a child who loves to dress dolls and ever create their own fashions, paper dolls might be just the thing. Paper dolls are great because unlike traditional dolls, they are flat and store easily. Kids can use premade clothes to dress their dolls or create new clothes using paper and markers. Games are always a good way to pass the time. Unfortunately, not all of us have the space to keep a collection of bulky board games. This is where card games step in. Card games are super small and easy to store, and trading cards such as Pokémon cards are particularly fun because they can be traded with friends in addition to being played with. We also love Set, Uno, Five Crowns, and the Eye Found It card games. Almost every child goes through a phase when they love playing house. Obviously, you can’t carry an entire play house with you on the road. However, a tiny kitchen is the perfect solution. Some people make their own tiny kitchens using plastic tubs which can then hold all of the toy dishes. However, we particularly love this kitchen by Little Tikes. 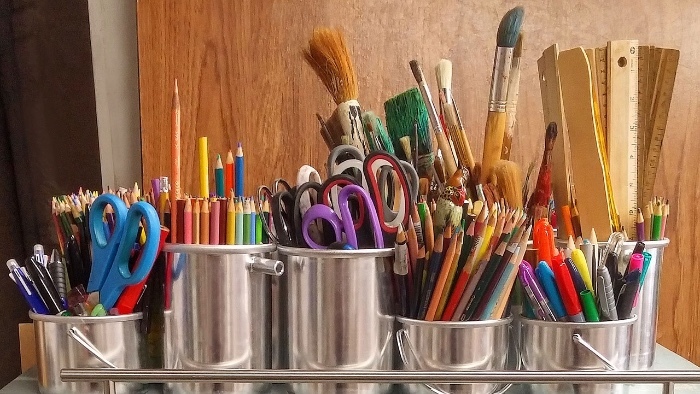 There is nothing quite as versatile as a box full of art supplies. After all, with a little creativity, paper, and glue you can make almost anything under the sun. For this reason, we highly recommend keeping a nice stock of art supplies for your kids to play with. Nerf guns are great for slightly older children because they give them something to do outside. They are a perfect social toy, and you’ll likely find many children on the road who are more than happy to play with Nerf guns together. Many people underestimate the entertainment value of a ball. However, this super simple toy can provide hours of fun, laughter, and bonding between friends and family. No matter where you happen to be, you can always kick a soccer ball around or set up a round of four square. Besides if you take a ball outside, other kids will likely flock to your site, making finding friends a cinch. Most people end up at the beach at some point during their travels, making sand toys a necessity. Not only that, but sand toys can actually be quite fun in your own campsite. Set out a plastic bin of sand or (if your site is sandy) let your kids dig in what is already on the ground. Another thing most RVers end up doing more than the average person is swimming. After all, most of us flock to warmer weather during the cold months, and when you’re visiting so many beautiful lakes and beaches, swimming is a must. Therefore, you will want to stay stocked up on water toys such as pool noodles, goggles, and diving toys. Of course, bikes and scooters are also super popular outdoor toys. These are especially handy when you happen to be in large campgrounds and need to get from point A to point B, but they can be fun even if they’re only ever used for riding near home. As long as you’re okay with your kids having some screen time, you might consider investing in a tablet. 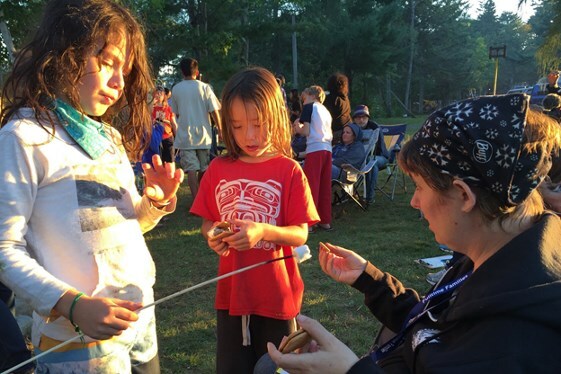 Tablets are perfect for entertaining restless young travelers on travel days, and educational apps and websites can be a great addition to your homeschooling set up. Tablets are also ideal for storing ebooks and since keeping lots of traditional books around can be difficult, ebooks tend to be a great solution. 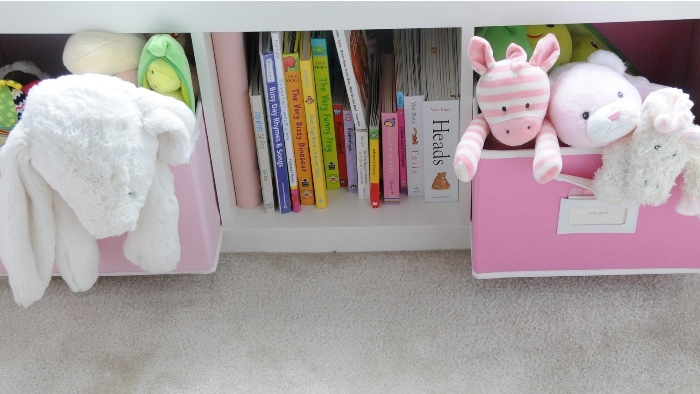 If you’re going to keep toys for the kids, you’re going to want places to keep those toys. Downsizing can be a struggle for many people, so here are some awesome toy storage solutions that we think are perfect for full-time RVing families. A peg board hung on a wall can hold baskets of all shapes and sizes. These are great for storing and organizing small toys as well as craft supplies. Best of all, you won’t be using any precious cabinet space. Another great option for those small toys and art supplies is an over the door shoe organizer. These can be hung over any door and the pockets can hold LEGO bricks, crayons and markers, and even small action figures. Wondering what to do with your child’s trading card collection? Can’t figure out how to store the paper dolls we suggested. A binder can be hugely helpful in both instances. Simply purchase a plastic card organizer insert for a trading card collection or plastic page protectors to keep paper dolls in and you’ll be good to go. Even after you purge as many s you possibly can you’re going to be left with books. On top of that, you need somewhere to store that trading card or paper doll binder. A wall mounted bookshelf such as this one is just perfect for this. Another IKEA product we highly recommend are the TRONES storage boxes. Technically, these are meant for shoes, but because they are wall mounted and have a low profile, they are ideal for storing all kinds of things in a small amount of space. They are especially great to be used as toy boxes at the end of each child’s bunk. Another way to add storage to your child’s bunk is by adding a set of pockets on the bed. This bed caddy by IKEA is perfect for this and fits most RV bunks. Getting rid of stuffed animals can be hard because many of them hold sentimental value. If your child insists on keeping a bunch of stuffed animals you might consider a stuffed animal hammock. This will get the stuffies off of your child’s bed and give them a nice home off the floor. Many families find that storing some of their children’s toys in bins in the outdoor storage bays is a great way to use their interior space wisely. Outdoors toys such as sand and water toys as well as balls and Nerf guns are perfect candidates for this storage solution.